Every year at this time, Rochesterians begin debating whether the lilacs will be in peak for the city’s annual Lilac Festival. Last year, an unseasonably warm spring caused them to bloom early. That has certainly not been the case this year, so they should be just about perfect! I find there’s something very magical about visiting Highland Park when the lilacs are in bloom. In addition to the beautiful sea of white, sky blue, violet, red-violet, indigo and even pale yellow flowers with petals that flutter deliciously on the breeze, you can stand almost anyplace in the park and the scent of these fragrant flowers will waft to you, erasing memories of even the longest and most beastly winter! The history of Highland Park goes back to 1888 when famed nurserymen George Ellwanger and Patrick Barry gave the city 20 acres of land, now known as Highland Park. The park was designed by Frederick Law Olmstead, landscape architect who designed New York’s Central Park. Horticultural expert John Dunbar might be considered the father of the park’s lilacs, because he is responsible for cultivating the first 20 varieties of lilacs there in 1892. The city’s Lilac Festival began in 1898 when 3000 people gathered one Sunday in May to stroll among the Lilacs in Highland Park. Within 10 years, Lilac Sunday was attracting 25,000. Today, a half million people from all over the world enjoy this free festival in Highland Park that now boasts the largest collection of lilacs in the world, with 1200 bushes representing 500 varieties of lilacs. Most frequent question? Where can I buy a Nick Tahou's "garbage plate"
The 2011 Lilac Queen, Amanda Torchia, will reign over the YNN Lilac Parade that, this year kicks off on Saturday May 14 at 10:30 a.m. There will be a separate Children’s Lilac Stage with daily entertainment and the ever-popular Medved 5K and 10K race on Sunday May 22 is a must-do for runners! Race fees are $20 if postmarked or registered on line by May 18, 2011, $20 if registered in person at Medved prior to race day, $25 if registered on race day; SPECIAL FAMILY RATE: Families of 4 or more may deduct $2 from each entry; Entries must be submitted together; 10K & 5K SPECIAL: Run both distances for $30 pre registered; $35 on race day. There are also rides and activities for children, and plenty of opportunities to purchase lilacs to take home, as well as other plants. If you’re over 21, you’ll enjoy the Farmer’s Market and Wine Tasting presented by Casa Larga under the Big Top on Thursday, May 19 from 12 Noon to 7 p.m. Although attendance at the festival is free, there is a fee for some of the activities. These are just a few of the activities taking place, so for a full schedule of happenings at the Festival, CLICK HERE. While you’re at the Festival, be sure to visit Lamberton Conservatory and the Vietnam Veteran’s Memorial. CLICK HERE for a pdf map of Highland Park that you can print out. Rochester’s Lilac Festival is open from 10:30 a.m. to 8:30 p.m. every day. A good place to access the park is from Highland Avenue and Mount Hope Avenue in Rochester. CLICK HERE for additional directions, including info on weekend shuttle parking at Monroe Community College. 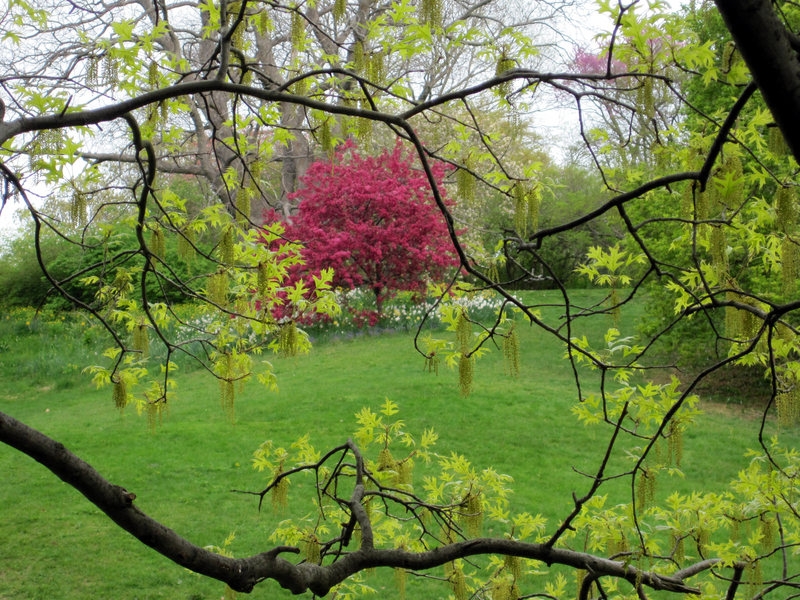 Visions of Highland Park and Rochester’s Lilacs from CAROL WHITE LLEWELLYN on Vimeo. Rochester’s Lilac Festival at Highland Park is one of the region’s favorite events that draws around a half-million people each year to listen to music, watch the parade featuring the festival’s Lilac Queen, sample some wine, visit the food, craft and other exhibitors and simply enjoy the beauty of the park and its multitude of plants, trees and flowers. True insiders know that one of the best times to visit is right before the Lilac Festival when the flowers are in bloom, but the crowds are not! Here are some photos I took last year the weekend before the festival. 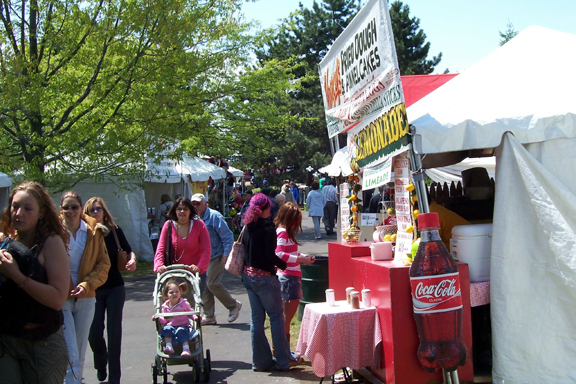 Mark your calendar to visit this year’s Rochester Lilac Festival that runs from May 13 – May 22, 2011. 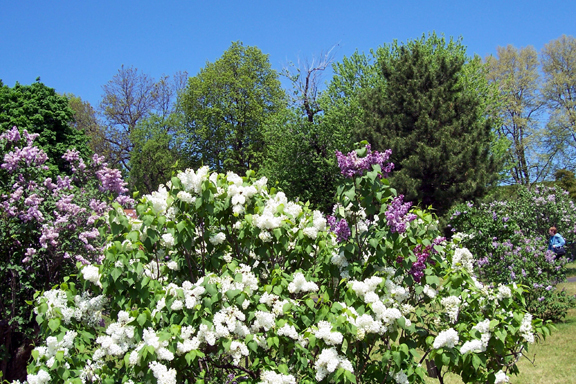 The Lilac Festival Site in Highland Park is located at 249 Highland Avenue, Rochester, NY. Looking for information on the 2011 Lilac Festival? CLICK HERE. Each Spring, Rochester residents rejoice as winter ends and the crocuses start to bloom because they know that soon, it will be time for the Lilac Festival. Highland Park is a sea of lilacs in May! Rochester’s Lilac Festival began in 1898 when 3000 people, dressed in their Victorian best, gathered on a Sunday in May to stroll among the Lilacs in Highland Park. Within 10 years, Lilac Sunday was attracting 25,000. Today, this family-oriented event extends to 10 days and attracts more than a half million people. Highland Park was established in 1888 and designed by Frederick Law Olmstead, the landscape architect who designed New York’s Central Park. The Park now boasts the largest collection of lilacs in the world, with 1200 bushes representing 500 varieties of lilacs. The lilacs are normally at peak during the festival and the white, sky blue, violet, red-violet and indigo petals flutter deliciously on the breeze as the sweet scent of lilac wafts through the park. The Lilac Festival is Rochester’s longest-running festival, and a favorite of residents and visitors, not only because of the lilacs, but because the Festival also draws high-quality arts and craft exhibitors, international food vendors, and home and garden demonstrations and displays at which you can purchase flowers. There’s also a children’s area with rides and numerous concert performances, many of which are free. There is a charge for some of the mainstage performances with headliners. 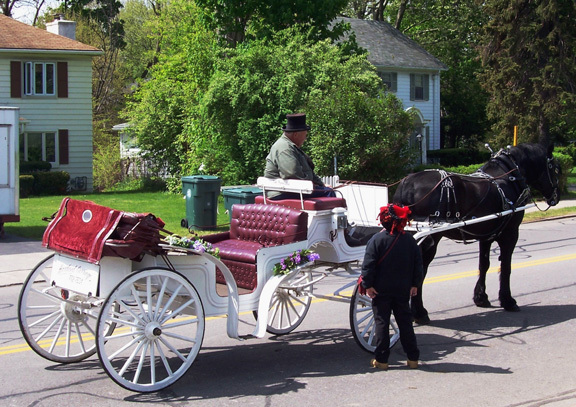 If you’re planning to attend the first Saturday (May 15), don’t miss theYNN parade, filled with marching bands, equestrienne performers, costumed characters, drum and bugle corps and more. The Parade will start at 10:30 a.m. beginning at South Avenue at Science Parkway, and will travel down South Avenue to Highland Avenue ending at Goodman Street. There’ll be over 125 entries in this year’s YNN Lilac Parade. Click for the CHILDREN’S activity schedule. While you’re in the park, stop by the Lamberton Conservatory for an amazing indoor display of exotic flowers and foliage. There is no admission or parking charge to attend the festival. Lamberton Conservatory admission is: Adults $3 (19-61), Youth (6-18) and Seniors (62+) $2, Children (0-5) Free. The Conservatory is open 10 a.m. to 4 p.m.
Highland Park is bordered by Highland Avenue, South Avenue and Goodman Street in Rochester, NY. I often volunteer at the Information Booth, so I hope to see you at the Lilac Festival! If you enjoy Highland Park and the Lilac Festival, you may also want to read the post about The Vietnam Veteran’s Memorial, located in Highland Park. Whether or not you are a Veteran of Vietnam, or have ever been in the armed forces, you will find a visit to Vietnam Veterans Memorial of Greater Rochester extraordinarily moving. The Memorial is the inspiration of Dr. Barry R. Culhane, a Vietnam Veteran, who began the $1.5 million project with the vision of creating a tribute to all heroes who fought in the War, and a memorial to the 280 Veterans from the Greater Rochester area who gave their lives in the service of their country in Vietnam. The Memorial took 10 years from inception to creation. During that time, in addition to the struggle to raise funds and find a location for it, Culhane and his supporters worked to overcome many controversies surrounding its creation. It finally found a home within beautiful Highland Park on 2.2 acres donated by the County of Monroe. In deference to those who requested that Rochester Veterans of other wars be included, their names are inscribed on bricks leading up to the memorial. To commemorate those Rochesterians who gave their lives in Vietnam, 280 stainless steel bollards have been erected at the edge of the winding path. Visitors will find a granite marker, inscribed with names, that reads “Never again should one generation of Veterans forget another” and a timeline that captures, in chronological order, the battle experiences of a generation of Veterans. One of my favorite pieces, by Wayne Williamson, is the thought-provoking and somehow eerie sculpture of a soldier stepping through a solid wall into …what is on that other side? Each visitor’s thoughts fill in the void. The design of the memorial, which leads to an overlook resplendent with flags, overlooks the commemorative site and Highland park, encouraging both reflection and introspection. To view more photos of the Vietnam Veteran’s Memorial of Greater Rochester, courtesy of RocPic Website, CLICK HERE. For Veterans and their families in need of assistance or comfort, the Veteran’s Outreach Center, located at 459 South Avenue in Rochester is a resource center that provides welcome home and recovery assistance, offers clinical support and services as well as holds special events for the Veteran Community. 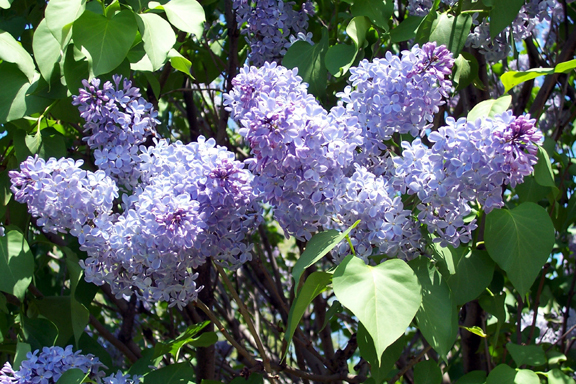 If you were interested in this post, you may also want to read the post about Rochester’s Lilac Festival, which takes place in Highland Park each May.